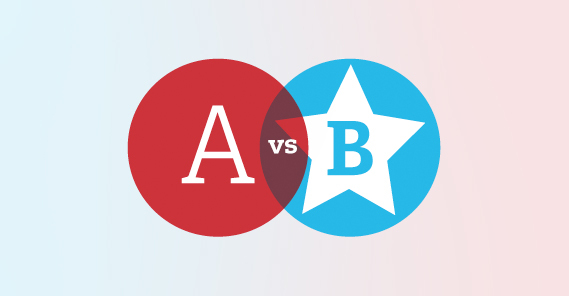 Sure, you could run an A/B test when you send an email newsletter to your list. But let’s say subject line A performs far better than subject line B. Having already sent the email, you’ve lost all the potential conversions from those who received subject line B. With PickFu, you can test an email subject line, body copy, and/or description snippet to ensure you get the highest open and click-through rates before you send. Here’s an example of a PickFu poll for an email promoting a webinar. You’ve crafted a great title, maybe even tested for the most effective subhead. You’ve weighed different cover options, but your book still isn’t selling as well as you’d hoped. Why? Perhaps your jacket blurb could use some help. An effective book blurb encapsulates the essence of your book, but creates enough intrigue to entice someone to buy. Test your existing blurb against one that’s more dramatic. Try different tones of voice. Create a version that’s more concise than your current blurb and see if length makes a difference. See this example of a PickFu poll where readers clearly preferred one blurb over another. And while you’re testing blurbs, take another look at your author bio. Do you seem as authoritative as you could be? Are the right accolades being featured? If someone has never met you, would they believe that you’re qualified to write on your subject matter? If you’re a startup or new business, a quick summation of what you do is necessary for your website, investor decks, and consumer-facing materials. Is your elevator pitch clear? Do potential customers understand your business’s value to them? Test a few different versions and learn how people react. What are they taking away from your pitch? Is it the message you want to send? Iterate and continue to hone this message. If you’re familiar with Google AdWords or Bing Ads, you’ve probably been encouraged to try copy testing, where you run variations of ads and see which ones are more likely to be clicked on or more likely to convert. The thing is, in performing a test like this, you’ll need to run live ads, and those cost money. A less expensive alternative is to run a PickFu poll and ask the kinds of customers you’re targeting which ad copy they prefer. Test various headlines and description copy before launching your paid advertising campaigns, and start your campaign with a leg up. Of course, you can run image ad tests in PickFu as well. Whether paid social ads or organic social posts, gauge what audience reaction will be before you publish. A slight copy tweak could be the difference between a lot of shares and a lot of silence. You could also use PickFu to test your business’s description on social channels so that new visitors know exactly what you’re all about. What’s click-worthy to your audience? If you’re running a blog, maximize its effectiveness by testing various article titles and description copy. It just might generate more traffic for posts you’ve already written, or on new blogs getting ready to publish. I ran a PickFu poll to decide on the title of this very article – see it here! Let’s assume you’ve got a great name for your app and a killer app icon. A user has clicked on “More” in the App Store. Now what? What you say to that person at this stage could make the difference between a download and a new search. Is your copy tailored to solve a problem for the user? Does it showcase what’s unique about your app versus the competition? Is it easy to scan? Should you include credibility stats, like number of downloads or positive reviews? Testing App Store descriptions is a fast and easy way to learn what’s most important to your target audience. Your own tagline can position your company in the marketplace (“The Un-Cola” for 7UP or “the Ultimate Driving Machine” for BMW), emphasize your product benefits (“The quicker picker-upper” for Bounty or “The World on Time” for FedEx), or set a brand voice that differentiates you from other companies (“Don’t Be Evil,” the unofficial tagline of Google, or “Think Different” for Apple). Testing taglines is a good idea because you want to know what people read into these very short phrases. What associations do they bring, and are they the right associations for your brand? Is your tagline memorable and unique, or does it sound like something you’ve heard before? If you publish content on YouTube, Vimeo, or other video sharing sites, then you know you’re writing for two audiences: the search engines, and the people who will watch your content. Too often, we get caught up in the first: keyword-stuffing and writing nonsensically for bots, when in fact, YouTube users do read video, playlist, and channel descriptions. Why wouldn’t they? Written descriptions save time that might otherwise be wasted watching videos that aren’t of interest. Video descriptions can also engage viewers even further by showing additional information pertaining to the video they’ve just watched and enjoyed. Keywords are important of course, but write naturally and with your human audience in mind. Your video description might include a call to action, such as subscribing to your channel or visiting your website, or explain more about you and your business. It might also link to your social media profiles, further reading on your subject matter, or other videos you’ve made that you think your audience will enjoy. Try different combinations, and test, test, test. If you’re running an e-commerce site, your product descriptions are paramount. Your copy needs to sing so that a user doesn’t hit the Back button. Have you answered the most commonly asked questions about the product? Have you used descriptive language to explain the product’s benefits? Would bullet points help? Is the copy too long or too short? Knowing theses answers can increase your sales overnight. Have you run a successful copy test using PickFu? Tell us about it in the comments! Ready to give PickFu a try? Start here!